Last year, California utilities started offering rebates to EV-owning customers based on a simple application process with few strings attached. Next year, California is releasing more funds to utilities for these programs, and in response utilities have increased the available incentives – SCE’s rebate has gone from $450 to $1,000, and PG&E has upped theirs from $500 to $800. PG&E’s new rebate applies to any application received after January 1 – so if you just got an EV for Christmas (perhaps during Tesla’s year-end delivery rush), hold off on your application for a couple of days to save yourself $300. SCE’s increased rebate only applies to cars purchased or leased after January 1. If you just got your car, you’ll have to settle for the old $450 rebate, but this might help reduce the sting of missing out on the full federal tax credit if you take delivery of a Model 3 early next year, or a Bolt after GM’s tax credit is reduced in the second half of next year. Norway, Paris/France, England, India, Germany, China and Scotland have all announced plans to ban the sale of gasoline vehicles in the upcoming decades. The US state of California might be close behind if a new bill expected to be introduced in the coming month by Assemblymember Phil Ting takes hold. We knew it was coming for a while, but today the California Air Resources Board (CARB) confirmed the exact timeframe. The California Clean Vehicle Rebate (CVRP) will be increasing for low- and moderate-income drivers, while it will also introduce a cap for high-income drivers. The Bloomberg New Energy Finance report that came out last week (press release at bottom) says that in 25 years, electric vehicles will make up just 35% of new car sales. That means that in a generation from now, 65% of people will still be buying petroleum-based cars. It is hard to imagine a world where this few EVs makes any sense, even given BNEF’s own data. “Continuing reductions in battery prices will bring the total cost of ownership of EVs below that for conventional-fuel vehicles by 2025, even with low oil prices.”. Why would anyone buy a gasoline car when an electric or even a plug-in hybrid costs less than a gas car? Electric cars are cleaner, quieter, faster and safer than equivalent oil cars. Keep in mind that 2040 is 15 years after the cost of an electric car passes parity with oil in their scenario. Furthermore, by Bloomberg’s own estimates, batteries will reach less than one-third of today’s break-even prices. In fact, under certain reasonable circumstances, it costs less to own a Chevy SparkEV than a comparable gas version today. Fleet vehicles too. If you drive a lot and gas isn’t cheap but electricity is, the numbers already make sense. 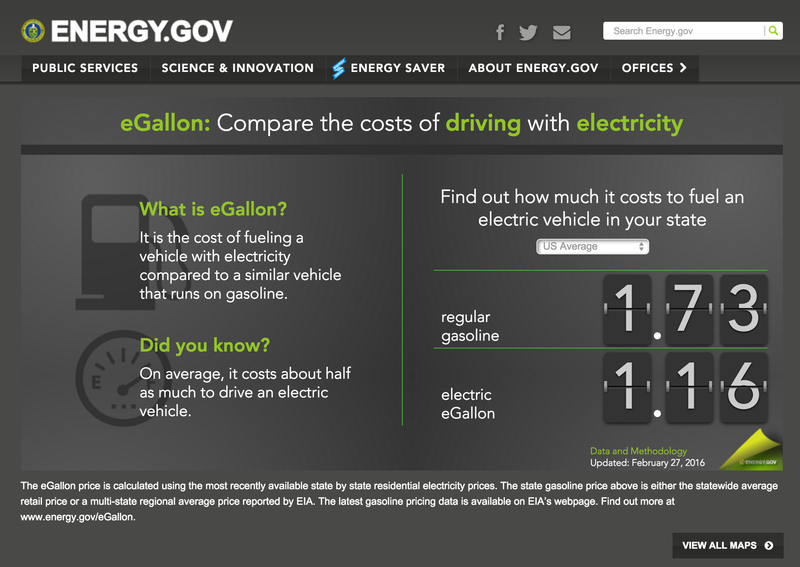 The US department of energy has a handy calculator (above, current prices) which shows that in every state in the union, even with insanely cheap gas prices, it is still on average 50% cheaper to run on electricity than on gasoline. That means once battery/electric engine powertrains reach parity with combustion, it is really game over for oil. 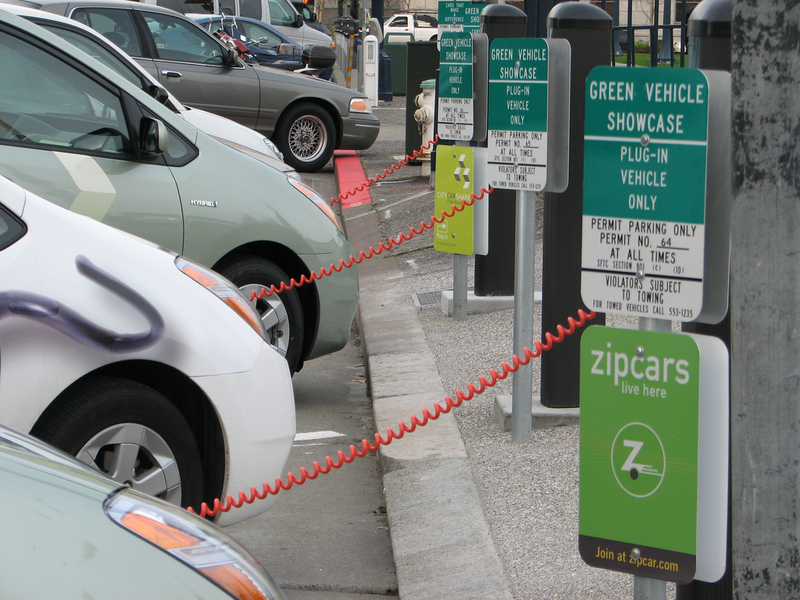 On Thursday, California’s Air Resources Board had a meeting and status update on the state’s ‘Zero Emission Vehicle’ (ZEV) program where industry actors expressed their views on the clean vehicle market and the ZEV credit mandate. 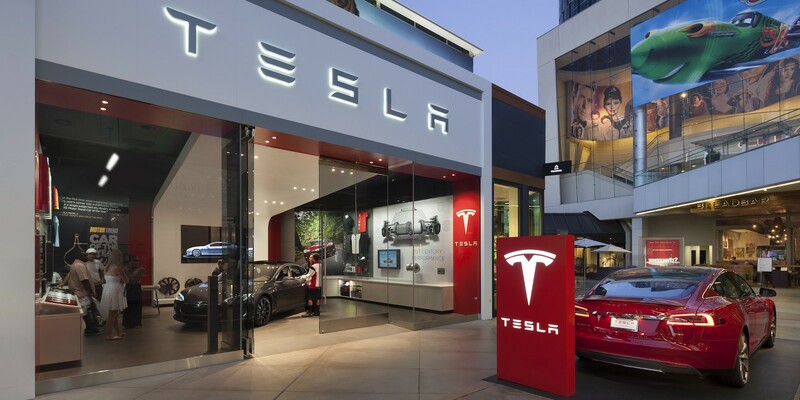 During a presentation to the board, Tesla’s Vice President of Business Development Diarmuid O’Connell argued that lobbying efforts from automakers effectively delayed fuel economy in the U.S. by about 20 years. In a letter sent to the California Attorney General and US Attorneys, Consumer Watchdog, a consumer and taxpayer protection organization, is asking for an investigation in the oil industry’s mail scheme campaign against the fuel reduction provision in California’s Clean Energy and Pollution Reduction Act. 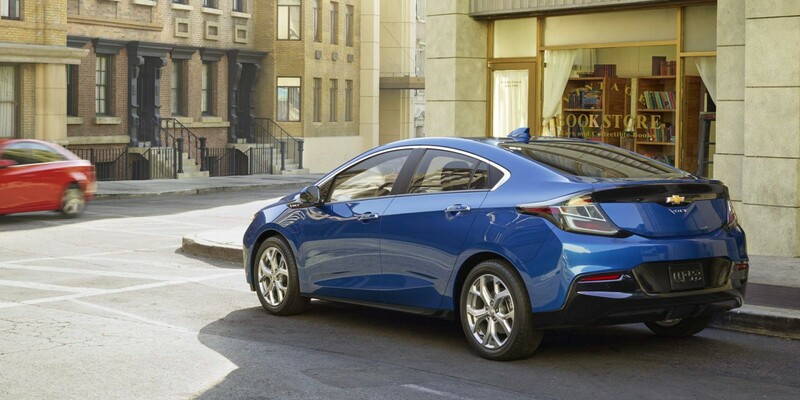 Over the weekend we reported that GM pushed the nationwide release of the 2016 Volt to next year and would only sell the car in CARB states in the meantime. Yesterday the company confirmed to Auto News that they simply don’t plan on releasing the 2016 model outside of their top EV markets, which coincidentally are mainly CARB states. Instead the company will release the 2017 version early for a nationwide launch. In an effort to spur lackluster sales of electric cars, California, New York and six other states said on Thursday that they would work jointly to adopt a range of measures, including encouraging more charging stations and changing building codes, to make it easier to own an electric car. The goal, they said, was to achieve sales of at least 3.3 million vehicles that did not have any emissions by 2025. The states, which represent more than a quarter of the national car market, said they would seek to develop charging stations that all took the same form of payment, simplify rules for installing chargers and set building codes and other regulations to require the stations at workplaces, multifamily residences and at other places. Charging stations, charging stations, charging stations.